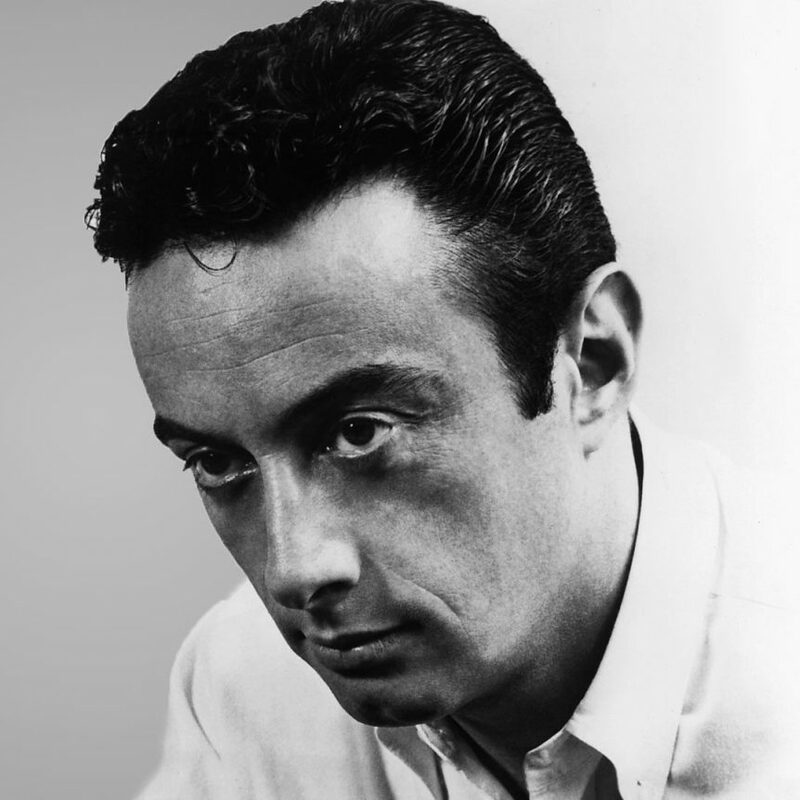 Chicago — It’s the end of his world as he knew it, and Lenny Bruce is definitely not afraid. Well, definitely-maybe not afraid. But if you look closely in the eyes of Joey Folsom’s Lenny, now on tour in Upstart Productions’ Lenny Bruce is Back, you can see that, underneath the swagger and the bravado and the world-weary “can you believe all this crap?” observations (though Lenny would undoubtedly choose a stronger noun), there’s fear. Fear of being forgotten, for starters. The conceit of the 50-minute show (which touched down in Chicago at Second City’s cabaret space, Judy’s Beat Lounge, on Aug. 24-26 and is headlining the second annual Fort Worth Fringe Festival this weekend before heading out for dates in Los Angeles and New York) is that Lenny is performing gigs from the afterlife. He’s been getting restless in his “perpetual care” grave in the San Fernando Valley, not far from that of his fierce, loving mother, Sally Marr (a stand-up in her own right and champion of comics such as Cheech and Chong and Sam Kinison). There was, of course, the quick-witted comic who brought political acumen and jazzlike verbal riffs to his act—leading to high-profile arrests for obscenity in several cities, including Chicago. This Lenny in part paved the way for subsequent masters of the rant, including George Carlin, Richard Pryor, Bill Hicks and Kinison. Then there was the junkie who did a final nod-out in his bathroom at age 40, leaving behind his mother, his beloved daughter, Kitty, and his ex-wife, stripper Honey Harlow, with whom he had a volatile relationship—a man who had burned himself out, along with personal and professional bridges. The show, written by Sam Bobrick and Julie Stein and directed by Nathan Autrey, would seem to be limited by the fact that Lenny Bruce’s stand-up material is under copyright and can’t be used here. But what that means is that this show is more about being able to embody, rather than impersonate, its subject. That angry self-righteous image was cemented by Bob Fosse’s 1974 film, Lenny, starring Dustin Hoffman—a movie about which Folsom’s Lenny has little good to say. So if one’s ideas about Lenny Bruce come largely from that biopic, Folsom offers an alternative take that lets us see someone who is at least as disappointed in himself as he is with society at large. Bobrick and Stein’s script often invokes duality—hipsters vs. hippies, obscenity vs. profanity, satirist vs. satyrist. But it also provides biographical snapshots of a man who never quite felt he belonged. His Brooklyn-born brassy mom adored him, but his British-born father disapproved. A stint working on a farm on Long Island gives him a sense of family for a while. But when he visits the farm couple after World War II (he was dishonorably discharged for claiming “homosexual urges”), he realizes that he was just a worker to them, not a surrogate son. At times, Folsom still seems to be taking a bit of a scattershot approach to the delivery, as if his Lenny is, even after his death, unsure of whether or not he can trust us and connect. One suspects some of that will dissipate as he gets more performances under his belt. But at times, that arms-length approach works, too. Lenny is, over 50 years after his death, still wrestling with being both a comedy icon and a schmuck who left his daughter without a dad growing up. Whether one knows Lenny Bruce’s work well, or is just finding out about his indelible influence, Lenny Bruce is Back offers many satisfying insights, and more than a few hearty (if rueful) laughs about our nation’s ongoing struggles with authoritarianism and prudery.